We recently designed and produced 4 festive evening celebrations to commemorate a private corporate agency appreciation for their top sales staff. The celebrations took place at the picturesque Hyatt Regency Chesapeake Bay Spa Resort in Cambridge Maryland. The first evening was an intimate dinner party for their Board of Directors on Breakwaters, which sits at the end of a long pier on the Choptank River off the Chesapeake Bay. 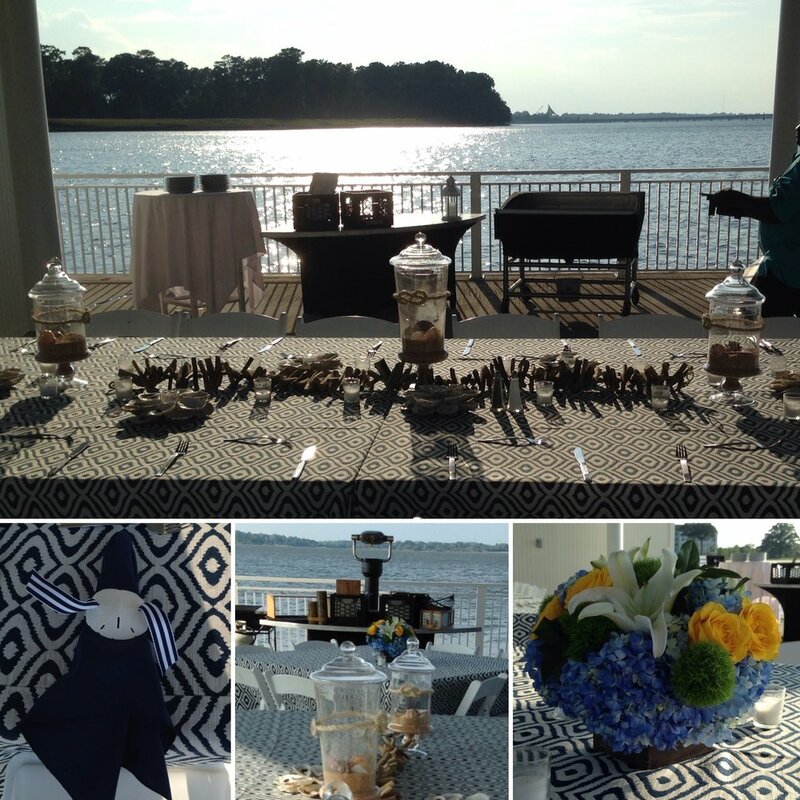 Guests began their evening with a cocktail cruise and then enjoyed a beach themed dinner at the end of the pier with stunning views of the sun set. The weather was perfect for our next event, which took place at the Rivers Edge Pool. It was the first evening with all 320 guests of this private corporation, comprised of families with kids of all ages. The colorful party began in full daylight with guests splashing in the pool, dancing to the rhythms of Reggae and dining on a delicious buffet. As the sun set, we got our glow on! The kids enjoyed our edible party favors and many got to take one of them back to their hotel rooms to savor. The third day, the weather tossed us a pop up thunderstorm in the late afternoon. However that didn’t keep us from sailing away to the Regatta outdoors. The kids set off on a pirate adventure at kids camp with counselors, while their parents and fellow guests dined on a menu of seafood, Maryland style, and danced to the sounds of the Embers under our cafe lights. The final evening took place on the expansive Manor Lawn. Despite it being a hot muggy night, everyone enjoyed dinner, taking photos, playing connect 4, corn hole, and line dancing with DJ Adam. Hotel guests were even dancing above on their balconies! As the sun set and the music continued to play, the evening ended with a bang, literally as guests were surprised by a fabulous fireworks display.